India went one step forward and two steps back in retaliation against high tariffs on steel and aluminum by USA. Twice, it suspended its decision to impose high tariff on 29 items imports from the USA. By the original schedule, high tariff was to be imposed on 4th August. It was deferred to September 18 and further to November 2. Skepticism rises over India’s real intention behind the trade retaliation against USA. A close study between the lines reveals India’s burgeoning dependence on defence ties with USA. Even though USA is the second biggest trade partner and a major foreign investor in India, its significance sparked with new dynamism in the relation, propelled by recent 2+2 Dialogue, which represented strengthening military ties with USA. What led India to revitalize the defence ties with USA, while it is still guide by Indo-Soviet Treaty, now with Russia. After signing agreements with the overseas finance development arms of Japan and Australia, the Overseas Private Investment Corporation (OPIC) is “in discussions with India right now” to reach a memorandum of understanding with India, OPIC President and CEO Ray Washburne told the South China Morning Post on Monday. If concluded, the agreement “will reflect very much like the ones we have with Japan and Australia”, Washburne said. Watch: What is the ‘Belt and Road Initiative’? Those partnerships allow the three countries to streamline the process of joint investments in energy, transport, tourism and technology infrastructure. The investments are also meant to attract private capital to the projects – investments that are, in some cases, many times larger than those of the three governments. A provincial governor in Afghanistan says the Taliban is “going to win” if the death toll among Afghan security forces — which the New York Times reports is double the average from two years ago — continues unabated. A fresh wave of terror attacks by militants on Levies – a tribal police and security force installed in Pakistan’s federally administered frontier regions – in Pashtun-majority districts of Balochistan province is predicting a shift in the war against the Taliban from the Federally Administered Tribal Areas (FATA) to the Pashtun belt in Balochistan. The presence of Taliban and frenzied jihadis in the southern Pashtun belt is alarming, a vivid threat to national security and the Pashtun community. In these scenarios, Pashtun resistance against insecurity and unlawful detentions led by the PTM (Pashtun Protection Movement), unwisely imagined as a threat to Pakistan’s national security and integrity, will surely redefine the epistemology of Pashtun nationalist politics in Pakistan. Pakistan’s recent efforts through its foreign minister Makhdoom Shah Mehmood Qureshi visit to Afghanistan to convince Afghan Government about Pakistan’s efforts to bring lasting peace and to play a constructive role in negotiating a reconciliation process in Afghanistan is more a farce and is far from reality. Pakistan is not going change its ways despite warnings from US even after the recent visit of Mike Pompeo. This is clear to those in India and even in Afghanistan, but does not appear to be so to those in United States. Decisive action against the terror group- the Haqqani network. Pakistan to press Afghan Taliban to go for negotiations. Pakistan needs to do more against terror groups and designated individuals like Lashkar, Hizbul, Jaish and Hafiz Saeed, Syed Salahuddin etc. Release Dr. Shakil Afridi from custody. Last week, the Chief Ministers of all the seven provinces met at Pokhara for a two-day session to lay the groundwork for the ensuing Inter State Council meeting to be chaired by the Prime Minister. The Group lamented at the lack of laws, policies, financial and human resources that have failed the provincial governments in delivering services to the people. The Meeting concluded that a “Constitutionally guaranteed Federalism will not be effective in the country without an effective functioning of the provincial governments”. They were right. From October 9 to 12, London-based barrister Abdur Razzaq will visit Washington, D.C. to meet with White House officials, legislators, House committee staffers and analysts at a number of think tanks. That a lawyer is speaking with politicians is not particularly worrying. But the fact that Razzaq is also an assistant secretary general of the violent South Asian Islamist group, Jamaat-e-Islami (JI), is an enormous problem. Are D.C. officials aware of who exactly they are meeting? US President Donald Trump’s new tariffs on US$200 billion of Chinese imports will come into effect on September 24. In addition, Trump has also threatened more tariffs, on US$267 billion of goods – almost all Chinese imports – if China does not comply with US demands. Meanwhile, US Treasury Secretary Steve Mnuchin has invited his counterparts to attend yet another round of trade talks in Washington, but China’s interest in participating has waned. How do you deal with someone who pats you on the back and steps on your toes at the same time? Despite this pressure, China is unlikely to succumb to US demands. The typically Chinese response would be to draw out the trade war to gain bargaining power. Will the US-China trade war quagmire take as long as the Vietnam war to untangle? Recalling Donald Trump’s infamous claim that a trade war is good, and easy to win, I for some reason keep thinking back to that other war - a real war - that the United States believed would be good and easy to win – the Vietnam war, launched blithely late in 1955, and dogging the term of four US presidents. Operational art provides the bridge between tactical actions and strategic objectives. It involves a systematic and deliberate campaign planning process for major operations in a theater of war. [i] Since the beginning of the industrial age and the advent of large conscript armies, there has been a need to link tactical actions to strategic objectives. Russian operational art began in the 1920’s and has evolved to today’s New Type Warfare and the concept of Reflexive Control. What should the United States do about the deepening relationship between Russia and China? 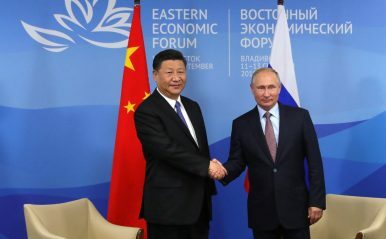 In a sense, American policymakers are conditioned to believe that no strong relationship between Russia and China can persist. For those steeped in realist theories of international relations, the prospect of extended cooperation between two large, powerful countries sharing a long land border seems puzzling. As experience in the Cold War seemed to bear out, at some point the tensions inherent in such a position will break out into open antagonism, notwithstanding ideological affinity or other shared interests. And yet, as Vasily Kashin (in a report on China’s defense ties with Russia for CNA), and Robert Sutter (in a Diplomat column) relate, the long-anticipated and hoped for break between China and Russia has yet to transpire. Indeed, at this moment it looks farther away than at any point during to post-Cold War era. The Trump administration is using a new national cyber strategy, announced Sept. 20, to create fresh norms in cyberspace and increase the number of offensive operations. President Donald Trump has put into place a new doctrine for how America operates in cyberspace that gives more authority to departments, national security advisor John Bolton told reporters. "Moore's Law is dead. Moore's Law is over." So says Mike Muller, chief technology officer at chip designer Arm, the Japanese-owned company whose processor cores are found inside nearly all mobile phones. But Muller is more sanguine. "On one level it's true, but I'd say, certainly from my perspective and Arm's perspective, we don't care," he said, speaking at the Arm Research Summit 2018. The involvement of Chinese troops and military hardware in Russia’s recent military exercises in the Russian Far East and Siberia – its largest drills since 1981 – has sparked new interest in the rapprochement between Moscow and Beijing. 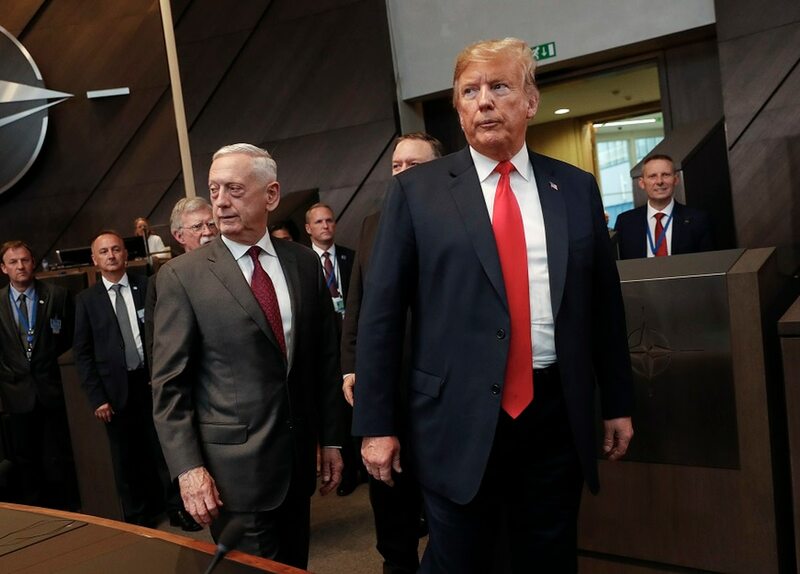 The West reacted in predictable fashion, with some observers claiming that Russia and China had long been allies and were now preparing for war with the United States, and others dismissing their growing closeness as “a shallow partnership of convenience”. Both positions justify the policy of the US and its allies. The first serves the interests of those who advocate a military build-up and increased defence spending to counter an imaginary military threat, while the second justifies levelling sanctions and trade pressure against both countries simultaneously – arguing, meanwhile, that such an approach does not impel them to form an anti-US alliance. Another $260 billion in total tariffs is set to take effect between the U.S. and China. Both sides are claiming they’ll be fine. 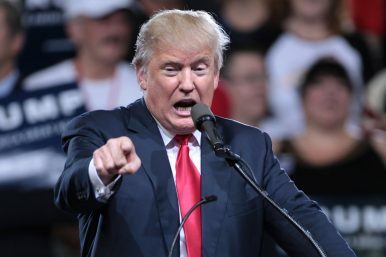 U.S. President Donald Trump has upped the ante yet again in the trade war with China, announcing that his administration will move forward with tariffs on an additional $200 billion worth of Chinese imports. China has retaliated, and the new move seems to have scuttled the possibility of a new round of talks. In a statement on September 17, Trump said he had “directed the United States Trade Representative (USTR) to proceed with placing additional tariffs on roughly $200 billion of imports from China.” The tariffs will start at 10 percent on September 24, before climbing to 25 percent on January 1, 2019. Protectionism is not new as a political placebo. It has long been used to pacify constituencies torn apart by technological change. In its most benign form, it is like a Roman circus of old, distracting the population -- a cheap political trick that when performed appears to have no cost to the constituency. A concept first labeled by Adam Smith and then used by John Maynard Keynes called “beggar thy neighbor” essentially involves taking a political action that might economically protect your constituency but makes your neighbor poorer. It measures the moment when the political rhetoric of protectionism forces shortsighted political action, passing the cost on to others with no thought of how that cost can ricochet with devastating impact. Yet Donald Trump, with his total lack of any understanding of American or world economic history, has doubled down on this concept to appease his base. 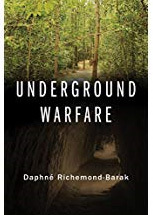 Fighting in tunnels is an obscure and potentially brutal facet of warfare. While long a feature of war, it had been considered a facet of the past replaced by maneuver. From the realm of sappers and sieges through trench warfare in World War I, tunnel warfare had been a recurring aspect of combat. Memories of wars past recall the use of trenches and tunnel mines on the Western Front, and entrenched Japanese forces battling US Marines from tunnel complexes on Pacific Island strongholds including Mount Suribachi on Iwo Jima, where 21,000 Japanese fought Marines equipped with flamethrowers and grenades from a hardened 7.5 mile complex with steel doors and fortified rooms. Vietnam and the Vietcong demonstrated the complexity of mixing civilians and combatants, with US forces engaging their adversaries known as ‘tunnel rats’, in extensive tunnel systems in Cú Chi while North Korea’s cross-border threats demonstrated the deterrent potentials of sophisticated tunnel complexes. The Soviet-Afghan war against the Mujahedeen and then the Allied war in Afghanistan against the Taliban and al-Qaeda illustrated the difficulty of engaging non-state forces in rural and mountainous caves and tunnels. Tora Bora symbolizes the latter to this day. In Libya existing underground infrastructure including irrigation canals were converted into bunkers and sanctuaries for Col. Gaddafi and his regime. The name “Skynet,” when used in the context of technology, might conjure images of James Bond or the neural net-based superintelligence from the sci-fi “Terminator” movie franchise. In China today, the latter is close to the truth, and it is no less sinister. 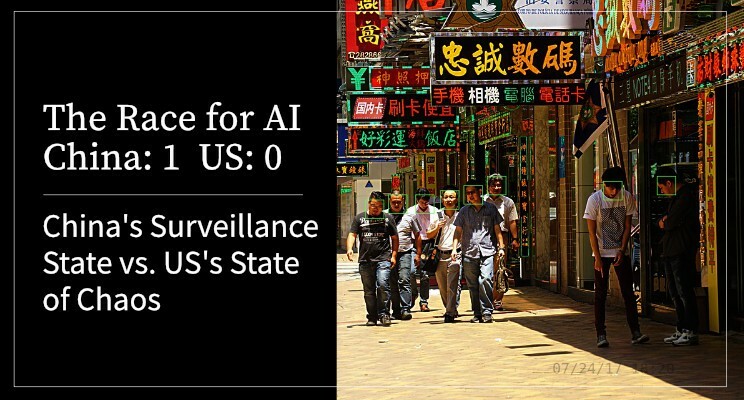 Far from science fiction, Skynet is an active Chinese government initiative that’s using artificial intelligence (AI) integrated with recognition systems to surveil its citizens. CB Insights describes the program that began in 2005 and how advances in technology such as machine learning and facial recognition have improved if not perfected Chinese government efforts to monitor and control its citizens. Competing visions of future warfare invariably include some version of robotic fighting machines operating either alongside, or in place of, humans. Each of the world's major powers are pursuing development of such automated killers, each looking to grant their robotic minions varying degrees of autonomy. The decisions made concerning the future employment of such systems are driving today's policymaking and research/development efforts. Intent on keeping humans in the decision-making process for applying lethal force, the U.S. has focused its efforts on "autonomous wingmen" that emphasize the concept of "human–machine teaming" that is likely to result in operational systems within the next two years. By comparison, the Russian Federation is intent on eventually delegating the decisions on the use of lethal force to advanced artificial intelligence and granting its own robots nearly complete autonomy. Given the disparity in various nations’ approaches to robotic warfare, it is likely that on some future battlefield we will witness the true test of these competing visions. [Analysts] construct their own version of ‘reality…’ This process may be visualized as perceiving the world through a lens or screen that channels and focuses and thereby may distort the images that are seen… To achieve the clearest possible image, analysts need more than information… They also need to understand the lenses through which this information passes. The value of manipulation and influence as part of the greater effort of achieving specific military and non-military goals has long been appreciated. Information operations are but one aspect of national statecraft and seek to influence targeted audiences – like foreign leaders or civilian populations – to gain a competitive military or political edge. Partially rooted in fields like cognitive psychology, electronic and cyber warfare, and operations security, information operations are employed to shape the perceptions of specific targets to ultimately achieve a specific end, thereby influencing their decision-making and behavior. Except for the initial invasion of Iraq in 2003, America has been fighting small, counterinsurgency wars since 9-11. This begs the question of whether fighting small wars inhibits or enhances our readiness to transition to large, high-intensity conflicts against peer or near peer competitors? The answer is complicated and somewhat ambiguous. The British and French situation at the outset of World War II is instructive. On paper, the two allies started the war in 1939 with two decades more combat experience than the Germans. None-the-less, the Germans thoroughly trounced the British and the French in 1940. What happened? It would be easy to say that the initial German victories were due to a more perceptive use of combined arms -tanks, radios, and aircraft. While this was part of it, it does not explain the overwhelming nature of the initial allied defeats. The Germans were ready for war, and the allies were not. The readiness failures were in the areas of adjusting tactics to emerging technology, training, and leadership. The world has entered a period of transition. Old assumptions and structures about the geopolitical order and international security are eroding while a variety of actors, newly empowered and emboldened, work with purpose and inventiveness to create new, alternative regional and world orders. It is a time of competition and conflict, as established actors work out the realities of the situation and newly emergent actors push hard to manifest the changes they desire. During this period, special operations forces (SOF) will once again find itself out ahead of others, operating in ambiguity and uncertainty as the world’s players compete to establish new rules and new structures. One of the key challenges for SOF is that, rather than just being tactical, this time the ambiguity and uncertainty is strategic. If SOF is to continue to be effective during this time of transition, then they must rely on their collective ability to perceive weak signals and adapt more rapidly than our competitors.